As is always the case (at least with me), there is often so much to see with so little time. I was in that situation (once again) while in Peru. 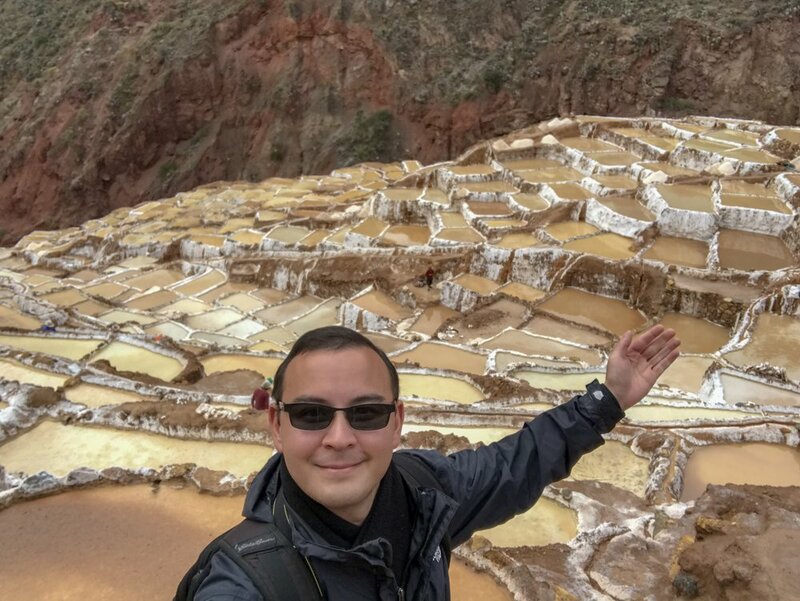 During my time in Cusco, I made sure to stop into one of the many travel agencies located in the city center and booked a day tour for the Sacred Valley. Because of my limited time, I had this tour scheduled the day after my day the marvelous tour to Machu Picchu. I initially wanted to do a hike to the famous and picturesque Rainbow Mountain, but I ultimately decided against it since I had read mixed reviews about it. Some people said it was absolutely worth it while others said the colors were not as vibrant as often advertised in many images. 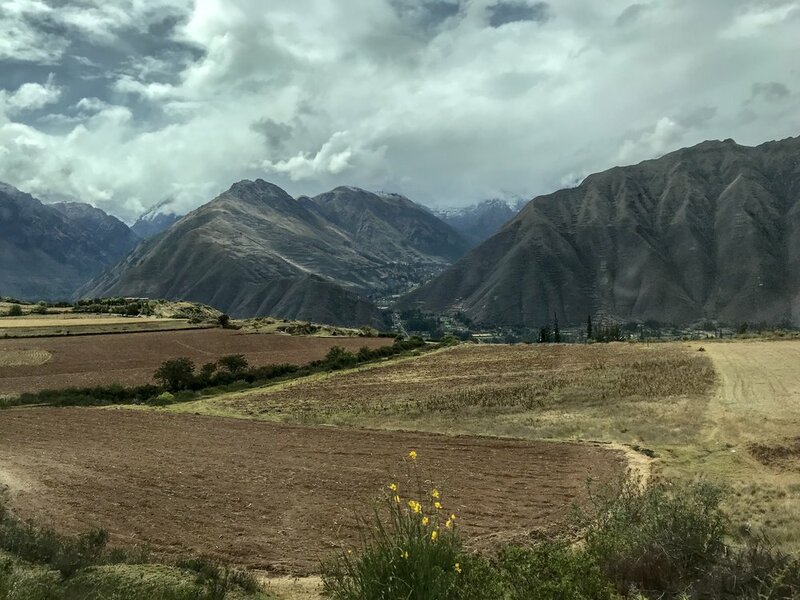 In addition, the weather played a role in my decision, and I decided to take my chance with an equally interesting tour; the Sacred Valley. On the scheduled morning of the tour, I showed up at the meeting point early and waited for the guide. It was during my time waiting that I started to believe I had come under-dressed. It wasn’t super cold at this time in the morning, but it was not warm, and I had only a windbreaker with a couple scarves underneath my jacket. However, I figured this would have to do. There wasn’t really any time to get any additional clothing. Secretly, I hoped that the weather would get warmer, or this would be a very long and cold day. Gradually more people start to show up, and when the tour organizer arrived, we were all broken up into groups based on what language we spoke. Spanish speakers went in one van, and English speakers went in another van. Once we were all inside the van, the guide and our driver drove us to Chinchero, which was our first stop, to see its historic colonial church and nearby Incan ruins. It was while in Chinchero that we all had to purchase a combined ticket that would let us into several of the other stops that the tour included. To be honest, the tour company was clear and honest with me that entry to these sites was not included in the price of the tour, which was not particularly expensive in itself, so I was not bothered by this. The combined ticket cost a total of 70 soles ($20 as of 2018). 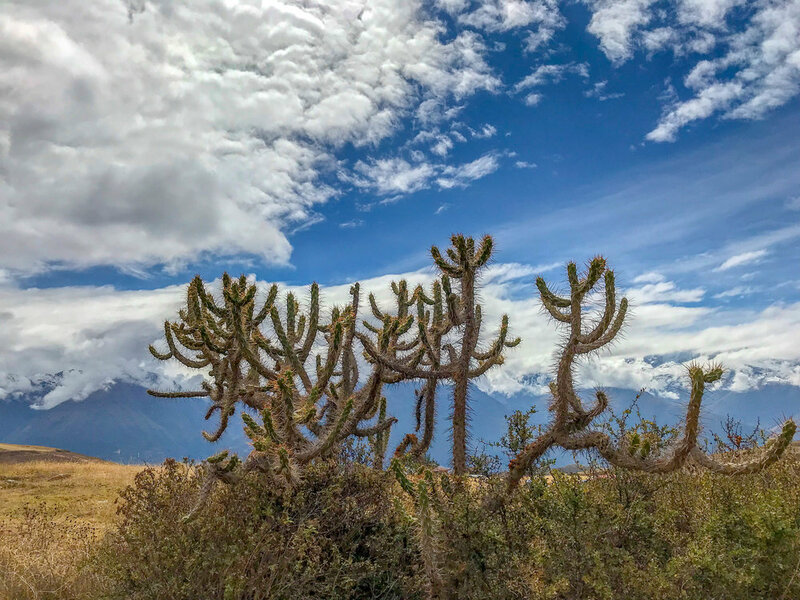 The colonial church of Chinchero was fascinating and beautifully decorated; unfortunately photos were not allowed inside, but once we were outside, the guide led us to an open field where we got to see terraces created by the Incas which were though to be used for agricultural purposes. During this time, I decided to leave the group and get a closer look by walking around the terraces and getting a view of the landscape. Thankfully, by the time I returned, the group had not left yet. 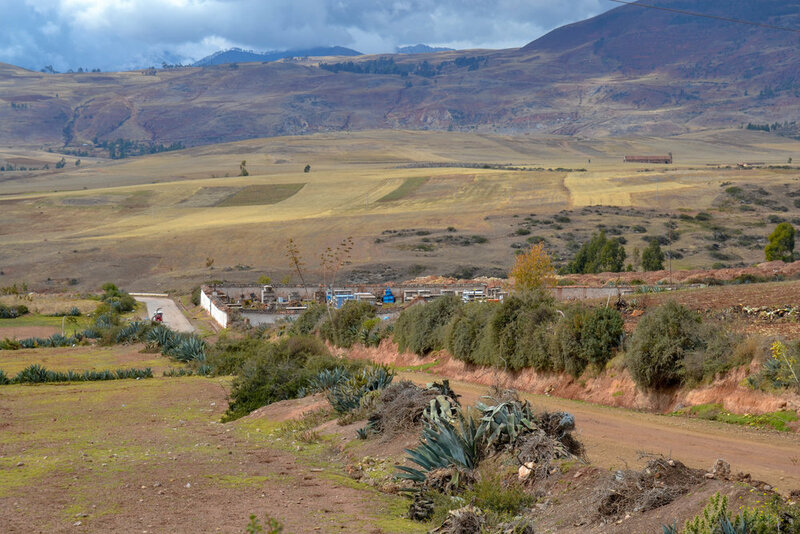 After a visit to Chinchero, we were driven to the nearby archaeological site of Moray. This was a fascinating site since it featured large terraced circular depressions. Even though the use is not entirely certain, nor is its meaning completely clear, the guide gave us some possible theories about its meaning. For me, I was quite impressed at how mathematically accurate it is. It just goes to show that even though these old civilizations did not have the equipment and technology we have today, they still had techniques to make accurate measurements. Regardless of its use and meaning, it is still a feat of engineering and mathematics. 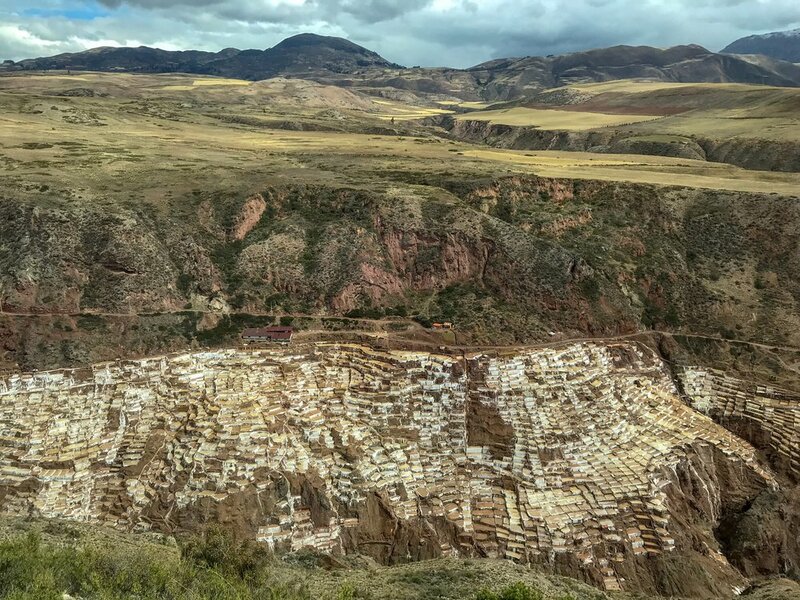 The next stop on the tour were the salt ponds of Maras. 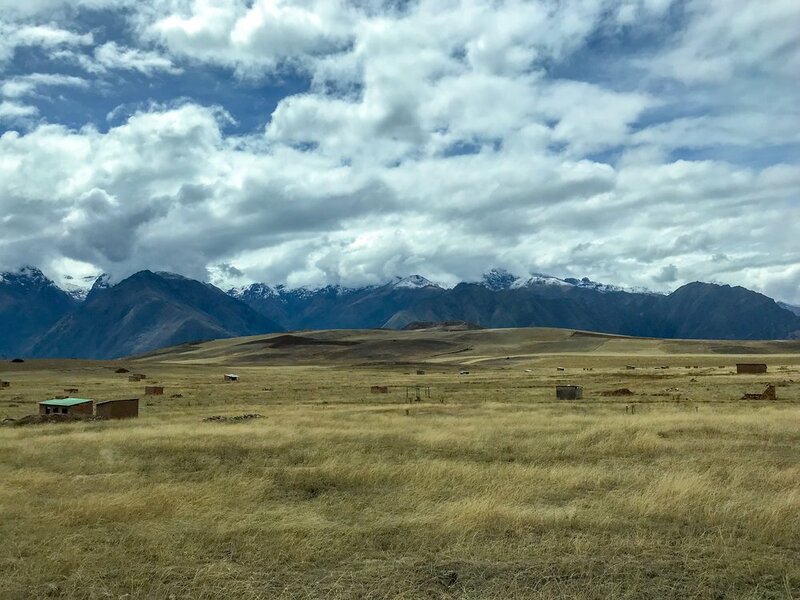 The van drove us from a high elevation where it was possible to see the tens of hundreds of salt ponds from above down a winding road that led to the entrance to the salt ponds. Once we arrived at the destination, we all had the chance to spend some time walking around and among the salt ponds although we were not permitted to actually step inside them. It was while here, that I learned this is how many of the families in the area acquire salt and make money from it. I found this location to be quite a fascinating experience since I had never seen anything like this before, and it was even possible to see some of the local families taking care of their own individual salt pond. Even though the pools look deep, they are actually less that 1 foot deep, and in several of the ponds, locals were walking across the surface with no problems. 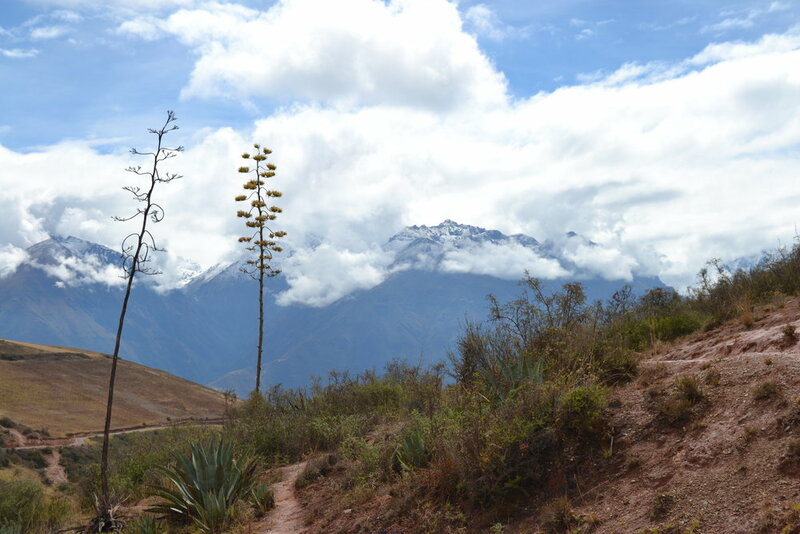 Once we left the salt ponds, the van took us to the lunch spot in the town of Urubamba. The lunch was a self-serve buffet of mainly chicken, pasta, salad, and some different kinds of deserts. After lunch, we had a little bit of time to lounge around the immediate area, so I went outside and laid down for a bit on a couch and talked with a young couple that was sitting nearby. By this time, it was actually quite warm, and I could have easily fallen asleep outside except that it was getting close to leaving. The next stop on the day tour was the town of Ollantaytambo (first image at the top), which is about 45 miles away from Cusco. While it possible to spend a couple days or more in the town, the day tour did not allow for that. Instead, we were dropped off at a central point and followed the guide to the agricultural terraces where it was possible to go to the top. Because of the amount of people all heading up at the time, it took a little bit of time to reach the top, but it was definitely worth it. The view from the top was amazing and offered a beautiful view of Ollanataytambo along with the mountains. Once we had a chance to look around, we all headed back down and went to our final destination. The last destination on our tour was Pisac. We did not actually stop in the town since the sun was starting to set. Instead, we went directly to the major Incan archaeological site that is located at the top of a winding road. It was here that we got to see the large agricultural terraces from high up. The view from the top was absolutely amazing, and since it was sunset, I was able to get some wonderful photos. Once we had a chance to explore the site at Pisac, we all headed back to the van, and we were driven to one final place; a jewelry shop where we saw how silver jewelry was made, and then we had the opportunity to browse around the shop and buy some items. I did not buy anything, so I spent the time chatting with another young couple that were on the tour outside of the shop. Once the other members of the group left the jewelry shop, we were driven back to our hotels in Cusco. Needless to say, this was another very long day with many stops, but it was definitely worth it. Because I had a flight out of Peru the next day, I felt this tour gave me a great opportunity to see many sites that I would not have had time to see otherwise. Of course, there are still many other sites to see in Peru, but I am certain that I will return there one day in the future. 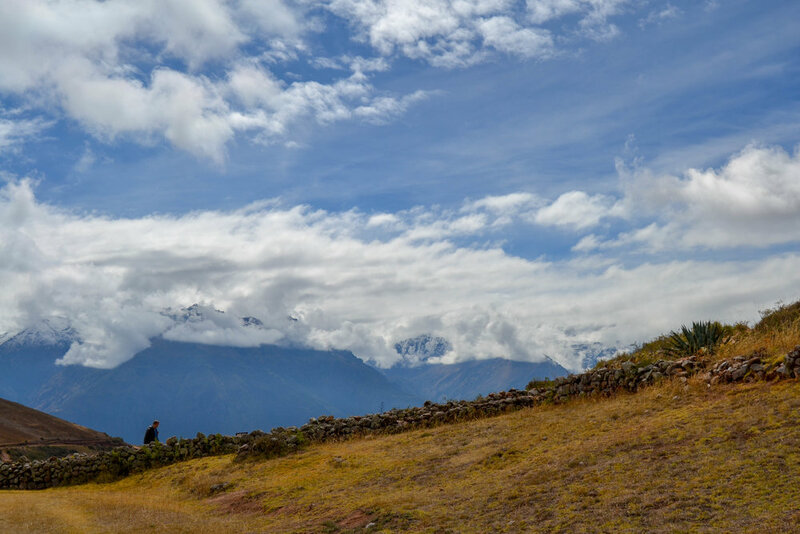 Have you toured the Sacred Valley? What did you think about it?